Lawmakers in Japan's ruling Liberal Democratic Party are proposing the administration of Shinzo Abe consider increasing the national defense budget, according to local press reports. 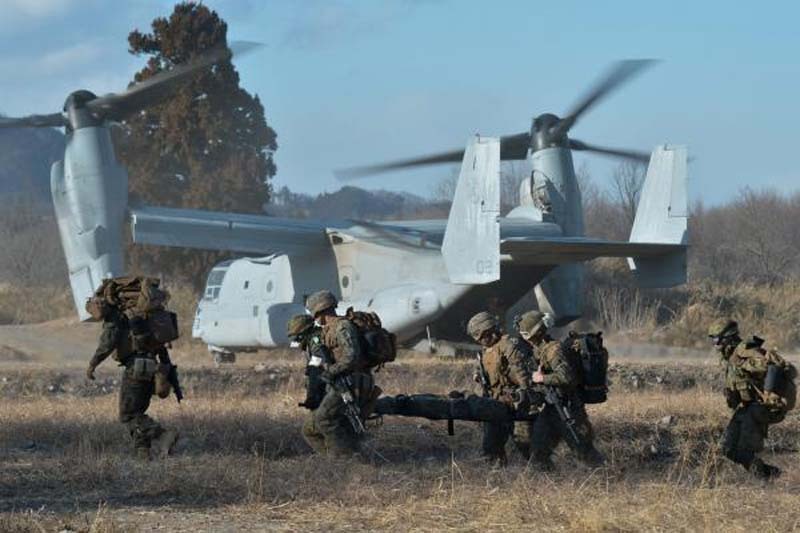 Japan's Nikkei and Sankei Shimbun reported Thursday the LDP's national security panel created the proposal that could potentially raise Japan's defense spending to surpass the current limit of 1 percent of GDP. The panel also did not rule out a budget that could reach as high as 2 percent. The proposal could have a major impact on Japan's defense plans, including Tokyo's medium-term defense plans that could be revised by the end of 2018. In the security panel report, the authors noted NATO aims to achieve a defense budget that could reach 2 percent of GDP. "The Japanese government must secure the necessary budget," the report stated. Japan has stayed within a 1 percent of GDP limit for defense spending after former Prime Minister Takeo Miki made the limit part of policy in 1976. Military spending has risen since Abe has assumed office and in 2016 the budget reached $48.5 billion, or 0.9 percent of GDP, which is still lower than the portion of GDP spent on defense in the United States, or 3 percent. LDP panels on Friday subsequently approved a draft proposal for Japan to develop military capability to "strike enemy bases" in other countries, Kyodo News reported. Japan could also acquire F-35B stealth jets to defend against Chinese maneuvers in the East China Sea and North Korea provocations, according to the report. Japan has contracted more than $19.6 billion in Foreign Military Sales from U.S. arms manufacturers from 2000 to 2017, according to the State Department. Purchases have included the F-35, the Aegis combat system and the E-2D Airborne Early Warning Aircraft. AIM-120, or Advanced Medium-Range Air-to-Air Missile, the UGM-84 Harpoon and the SM-3 Block IIA ballistic missile defense interceptor missiles have also been purchased, according to Defense News.